1) Create opportunities for economically and socially marginalized producers. We strive to alleviate poverty. 2) Develop transparent and accountable relationships. We share information freely with artisans, our suppliers, other fair traders and consumers. 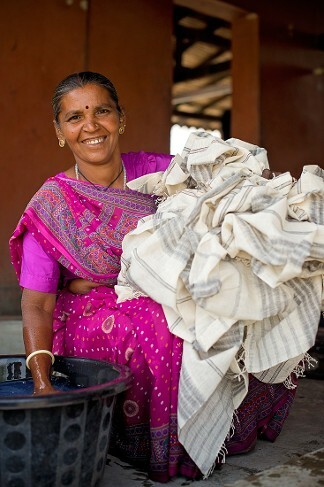 We visit in person when we can, and we tell artisans’ stories. 3) Build capacity. We take on suppliers slowly because once we add them, we want to stay with them, just as they make commitments to artisan groups. Throughout the chain, we share information, new product ideas, trends and relationships. We promote best practices at all points of the supply chain. 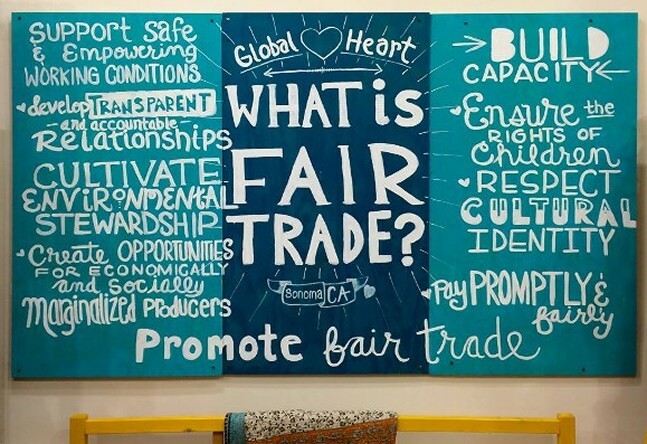 4) Promote fair trade. We are fully committed, and so are our suppliers. 5) Pay promptly and fairly. Fair trade wholesalers usually pay 50% in advance with orders, and the balance when the order ships. We do the same when we buy directly from artisan groups. Most of our supply comes through fair trade wholesalers, and we always pay them promptly as well. 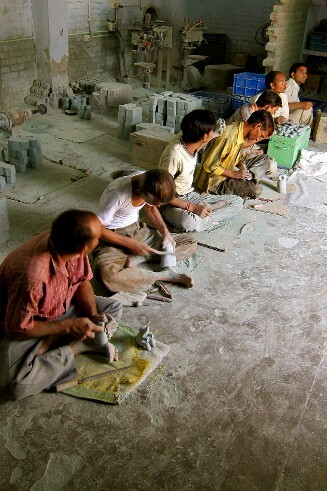 We and our suppliers also follow and develop pay standards to fit the local context in artisan communities. 6) Support safe and empowering working conditions. This means safe and healthy workplaces– no factories or sweatshops. We work with groups that have a significant say in their own pay and conditions We and our suppliers support workplaces free from any form of discrimination. 7) Ensure the rights of children. Children have the right to security, education and play. We follow the lead of the UN convention on the rights of children and all local, regional and national child labor laws. 8) Respect cultural identity. Some products support long-term cultural traditions or methods. Even with new products and processes, we support community standards and heritages. 9) Cultivate environmental stewardship. This includes reducing use, recycling, renewing, reusing and reclaiming resources. We use no endangered materials. We sell a variety of products made from recycled or waste materials.